(Photo: LWF / Thomas Ekelund)Namibian woman Tusnerde says, "It's the worst drought I have ever seen." Photo taken in September 2013. Dry Namibia is besieged by one of its most prolonged droughts in decades and almost 4 in 10 people in the country face the prospect of starvation or hunger in the next six months. A prolonged drought spell has led to a food and water crisis in Namibia, with some areas facing the worst situation in 30 years. The Lutheran World Federation (LWF) has launched an appeal to alleviate suffering of those affected. But the traditional food aid does not meet many of the humanitarian needs, the LWF says. While food shortages are often countered by shifting excess crop production from one area to that in need, researchers say that in the case of Namibia the answer may lie in cash rather than kind. The Namibian government says almost 40 percent of the population is at risk of hunger or outright starvation in the six-month period until the next rainy season during the worst drought in 30 years. Namibia President Hifkepunye Pohamba declared a national emergency after the failure of crops in May, allocating 20 million Namibian dollars (US$2 million) of relief for those worst hit. Lutheran World Information reports that almost 800,000 people in the scarcely populated country are facing the consequences of the lowest seasonal rainfall recorded since 1981. The LWF is supporting Namibia's Lutheran churches to help rural communities cope with the country's worst drought in 30 years. Among these is the Evangelical Lutheran Church in Namibia (ELCIN), a Lutheran denomination that has more than 704,000 members, mainly in Northern Namibia. The church played a significant role in opposition to apartheid in Namibia and was part of the Namibian independence struggle against South African rule. The Namibian government estimates that out of the more than 700,000 people affected in the population of 2.1 million, more than 42 percent of them are categorized as food insecure. Some 330,000 people in Namibia and over 1.83 million in Angola are food insecure, the government said in May. 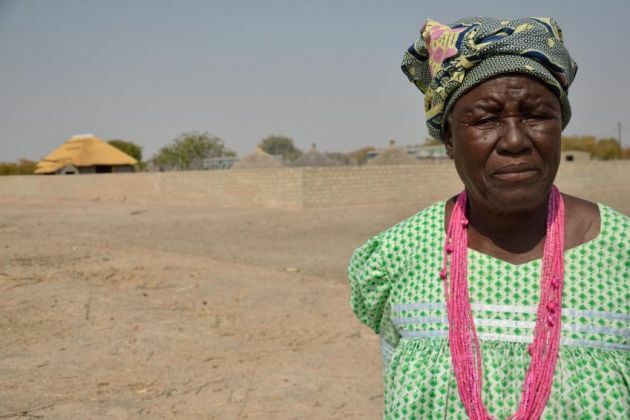 The drought has affected regions in both the heavily populated north and the south, leaving subsistence farmers without a crop to harvest and livestock without sufficient water and grazing. "This drought has the potential to result in a major disaster unless an early and effective response is initiated immediately," says Bishop Zephania Kameeta of ELCIN. Working with the Lutheran churches in Namibia through the United Church Council of Namibia, the LWF, a founding member of the ACT Alliance, has identified needs together with local communities and government representatives. The LWF said recent assessments show that 30 percent of the affected households have had to cut back their meals to one a day. The immediate response to the drought will focus on securing food through cash grants, giving psychosocial support and teaching communities how to prepare for future emergencies. Recent research has shown that food aid in the traditional sense does not meet many of the humanitarian needs caused by drought said Rev. Claudia Haarmann and Rev.Dirk Haarmann, co-directors of the Lutheran Communion in Southern Africa's Theological Institute for Advocacy and Research in Africa based in Windhoek. They say traditional food aid requires heavy logistic capacity and staffing, and gives no choice to the beneficiaries. "Unconditional cash interventions allow beneficiaries to make choices that meet their dietary and other needs. And cash provided early can reduce the need for future and more costly interventions," says Dirk Haarmann. The market can provide enough food for most of the Namibia the researchers say. Most of the affected population have lost their source of food, however, and are in danger of losing their cattle and other livestock. A cash grant can give households faster access to the items they need, and cash retains its value. "It is not uncommon for people to sell the government maize or non-food items provided by organizations just to be able to buy what they really need. And not seldom are people forced to sell at a reduced price," says Claudia Haarmann. The Haarmanns say people have different needs and priorities even when affected by the same event. Cash will be given on an individual basis, rather than to households. This allows the cash to target the greatest needs. Bigger families will receive more rather than coming up short due to the size of the family. Each caregiver will be given a bankcard, which can be used to draw money from any cash point. "We know from previous studies that money given to the female family head is more likely to benefit the whole family. But the husband will receive his share, so to reduce any risk of intra-household conflict," Claudia Haarmann said. The Lutheran institute will provide expertise and practical assistance for the response, research, staff training and project reporting. "We were part of the Basic Income Grant Scheme in 2008, when the Church proved to the Namibian government that cash actually improves the situation for the vulnerable," said Haarmann. This pilot project showed that poverty dropped by 37 percent in one year, and malnutrition of children under the age of five decreased from 42 percent to 10 percent in only six months.